We specialize in all events and can deliver the finest party bus service for any prom or homecoming event! From Fort Lauderdale, down to Miami and anywhere in between, Florida is full of amazing bars, clubs, and restaurants. The night life around here is certainly not lacking, so when you're planning a night out on the town bar hopping, club hopping, or checking out new restaurants, your itinerary is sure to be full! But how will you get to and from each destination? If you and 15 friends want to bar hop and drink all over Florida, how will you be sure you're safe and no one gets lost on the way to a far away club? Maybe you're going bar hopping for your bachelor or bachelorette party and want to make the night extra special! We highly suggest renting a Ford Lauderdale party bus for just such occasions! With a chauffeur acting as the DD, you can all enjoy a few drinks and know you have a safe ride. No drunk driving! You can travel absolutely anywhere in Florida so you don't have to limit your bar hopping to one area within walking distance of home. 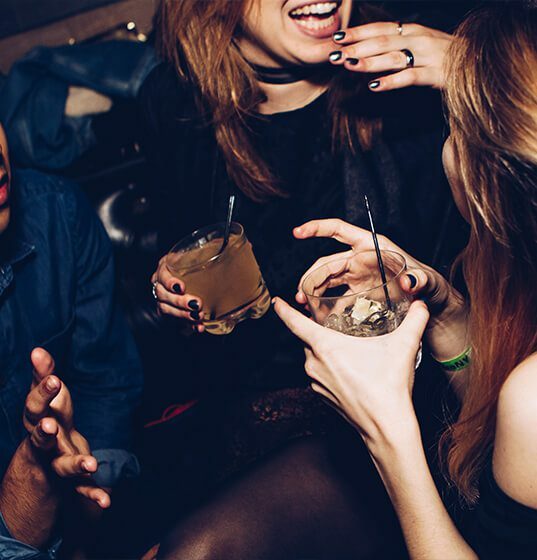 Maybe you're hitting up local bars and your group decides to check out a new place an hour away, or maybe you're spending the entire night in a different city; either way, a party bus is the way to go! You can drink and dance on the vehicles, so you don't have to stop your celebration in between venues! Our vehicles have dance poles, loud sound systems, and convenient coolers for your drinks! If the club isn't as fun as you thought, you can simply party on the vehicle for the evening! You don't have to simply rely on the vehicle for transportation, you can have a private party and just cruise around town if you'd like! As you can see, there's simply no better way to travel while your bar or club hopping in Fort Lauderdale, Miami, or any other major city around. Fort Lauderdale Party Buses provides reliable and luxurious transportation that will really take your night out to the next level! Wonder if your area is in our service range?